DEKALB, Ill. (WLS) -- Northern Illinois University police said the death of a 19-year-old student who fell from a window at a residence hall in September was accidental. 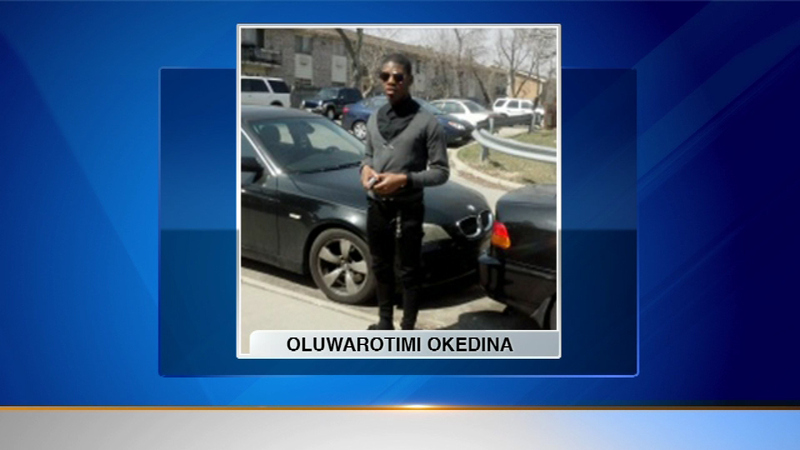 Oluwarotimi Okedina, 19, died on Sept. 26. The school said he removed a window screen from a dorm room on the 11th floor of Stevenson Towers before he fell. An autopsy performed by the DeKalb County coroner found Okedina's death was an accident. NIU police continued the death investigation. Officers interviewed students who were with Okedina the day he died and examined the evidence found at the scene. Police said Tuesday the results of their investigation corroborate the coroner's finding. "All evidence points to the student being alone in the room at the time of his death. We believe that the presence of LSD and cannabis in his system impaired his judgement and caused him to ignore the risk of exiting the room through the window, which resulted in the fall," said Thomas Phillips, NIU Chief of Police. Investigators are looking into where the drugs in Okedina's system came from.